Join us for a private after-hours holiday shopping event! 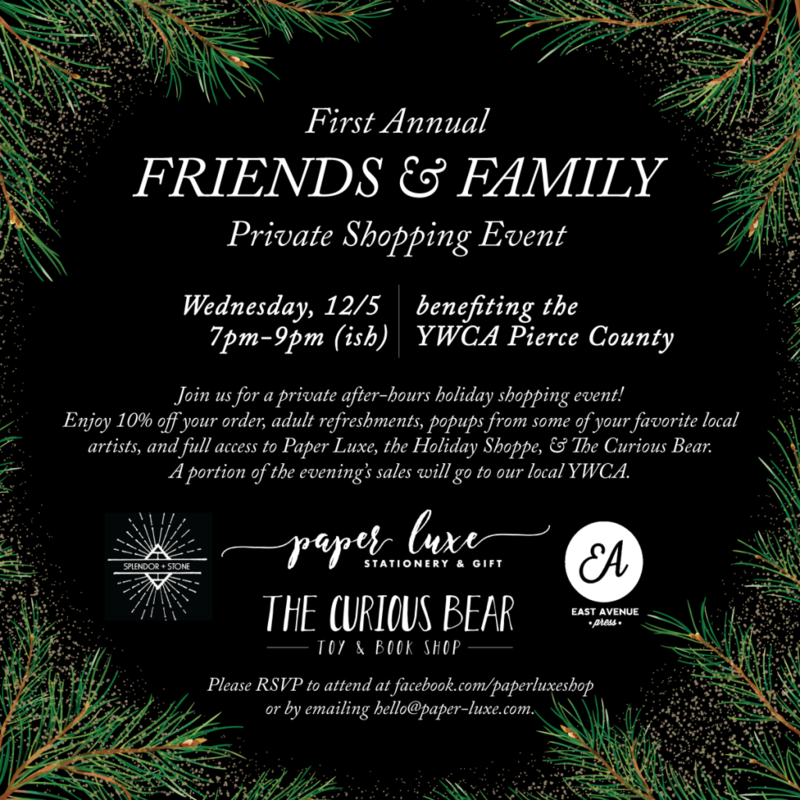 Enjoy 10% off your order, adult refreshments, popups from some of your favorite local artists like Splendor + Stone & East Avenue Press, and full access to Paper Luxe, the Holiday Shoppe, & The Curious Bear. A portion of the evening’s sales will go to our local YWCA. Please RSVP on Facebook here or email us at hello@paper-luxe.com.